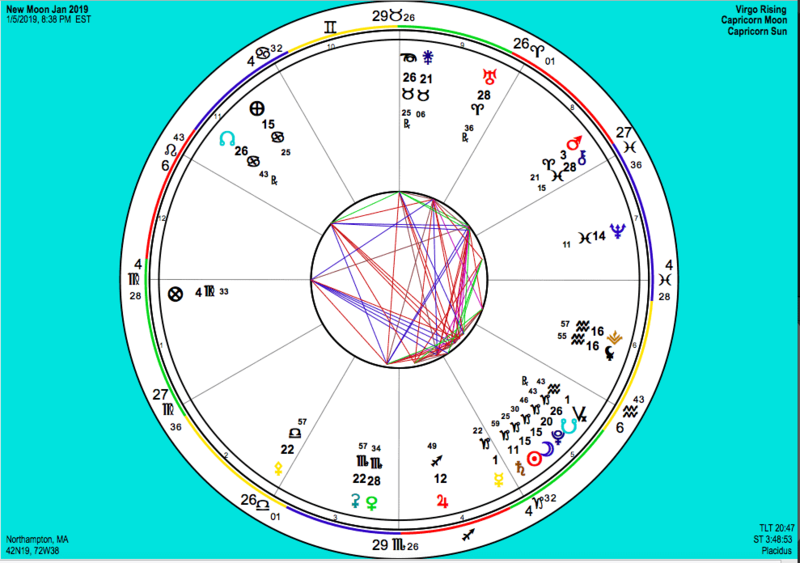 On January 5/6 (depending on where you live), we had a New Moon partial solar eclipse at 15° Capricorn, and today, January 21, we have a Full Moon total lunar eclipse at 0° Leo. The first is about allowing our past to give way to a brighter, happier future with unlimited potential in preparation for, and signified by, today’s Full Moon. As with all eclipses, the effects can last up to six months, so we may continue to understand and work with these energies as the year progresses. All moon cycles signify opportunity to align our physical lives more harmoniously with our soul’s intention upon incarnation. A life lived in congruency with these intentions must still encounter change, but those changes do not have to be disruptive. Change is the seed of all creative growth and healing, and the eclipses occurring this month certainly emphasize this opportunity. Whatever area of life the eclipse affects in our birth chart could see something being “eclipsed out” of our life. In my case, the eclipse occurred in the 3rd house of communication, which also rules technical and mechanical devices. The eclipse occurred on January 5; five days later my cell phone didn’t just become in need of repair, it completely shattered. Symbolically, it’s a sign that old ways of communicating, and perhaps an “old network”, will need to pass away. 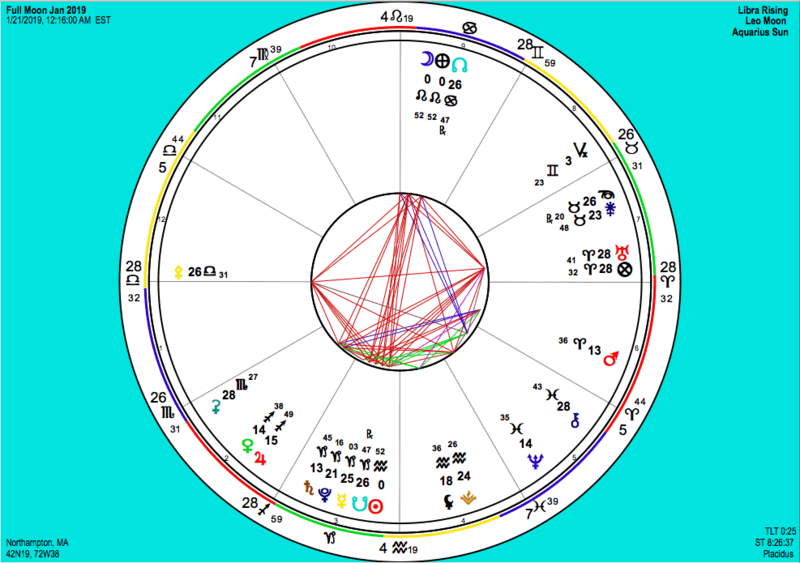 Whatever it is will make better sense to you if you are aware of your chart configuration. With today’s Full Moon lunar eclipse, Venus and Jupiter form a conjunction in the sign of Sagittarius, signifying an opportunity for lucrative and harmonious expansion in the areas of adventure, exploration, higher education, philosophy/spiritual studies, publication, and/or travel to foreign destinations. At 0° Leo it offers brand new beginnings and unlimited potential inspired by our heart’s true creative desires, or endeavors related to children. Jennifer combines her Bachelor's in music and Master of Health Sciences with energy medicine, including Acutonics®, Chinese Medicine, and astrology, for a unique Astro-Sound healing experience. Her book, The Science of Planetary Signatures in Medicine: Restoring the Cosmic Foundations of Healing, with Marc S. Micozzi, MD, outlines the connection between human health and cosmic science, and inspires new awareness of ancient medicine. Her second book, The Return of Planet Sedna: Astrology, Healing, and the Awakening of Cosmic Kundalini is due to publish in 2019.